Why Wait For Free RPG Day? Get Free RPGs TODAY! In honor of Free RPG Day 2016 this coming Saturday, I thought I’d take the chance to give you all links to free RPGs that are free at all times and not just one day a year. If you are anything like me, you are either too broke to keep buying books or you live too far away from shops that are taking part of the festivities. . .or some combination of the two. While RPGs are great and some are worth every penny (I’ve gotten more than my money’s worth out of my classic World of Darkness and Advanced Dungeons and Dragons collections), they are a bit pricey if you want to play more than one, and the expansions/splatbooks make it rather cost prohibitive to stay up to date (I’m looking at FFG’s Star Wars and the Dungeons and Dragons lines here). I had some fun, but the Star Wars collection didn’t get the mileage I was hoping for with the price I paid. My 7th Sea books, on the other hand, seem to ALWAYS get use. Perhaps there are more fans of The Princess Bride than Star Wars? This is where free games come in, and I don’t mean (or condone) pirating. I mean legitimate free RPGs that are readily available for download, consumption, and play. As someone who’s been doing this on the cheap for some time, I think I can share a few resources that may catch your eye. I’ll be the first to say that I abhor the d20 system. I’ve never been a fan of the number crunch and the power creep it entails. That said, I can’t deny that it changed the way people view roleplaying games, and it brought in a new generation of gamers due to it’s versatility. The top resources for it are caused by what are called System Reference Documents. They have everything you need to run and play the game with the exception of setting-specific information that is protected under copyright. 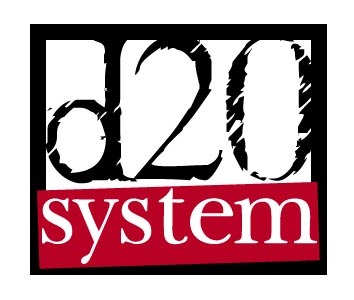 Some SRDs include Pathfinder (often called “D&D 3.75”), Mutants and Masterminds (a superhero game using the d20 system), and the classic d20 SRD for Dungeons and Dragons 3.5. There’s a number of fan creations for the d20 system as well, ranging from Final Fantasy (see below) to Mass Effect. While I may not be a fan, I can’t deny that the d20 system is flexible enough to handle just about anything you want to throw at it. I have a bit of a crush on the Fate system, I’m not going to lie. The game has a major focus on narration and is numbers-light, which is a drastic differences from the d20 system I mentioned previously. It isn’t for everyone (some people HATE the excess in narration, for example),but it’s pretty solid. While Fate powers The Dresden Files RPG and the Atomic Robo RPG (both are excellent, I might add), the newest rulesets of Fate Core and Fate Accelerated are available as a free (pay what you want) download via Evil Hat. There is also the Fate SRD if you need a friendly online approach for searching or reading the documents. One of the things I loved about the Fate system was how versatile it is for being a generic system (unless you buy one of the themed books, then it’s pretty focused but still flexible; these are also not free, sadly). The fanbase is pretty strong, and shortly after Fate Core was put into our hands after the highly successful Kickstarter, fans began to make new rules and convert favorite settings, including Star Wars and even Mass Effect. Granted, Mass Effect was taken down due to a Cease and Desist: it was entered into the ENnies and got a ton of attention, but the author used official artwork from Mass Effect, which played a big part in the Cease and Desist order (i.e. trademarked images used to win an award-based competition). Rumor has it you can still find it if you know where to look online, but it is a gray area. Still, the game has potential to run just about anything at no cost to you, so why not take a look? If you like it, please throw some money to Evil Hat; Fred and his staff are amazing people. This game doesn’t get much attention or affection, even though it once powered anime-inspired games like Mekton Z, Bubblegum Crisis, and even Dragon Ball Z. Fuzion was praised for its “plug ins” that allowed you to expand on it easily, but it was respected for being able to handle most non-magical settings, including cyberpunk, out of the box. Most of the resources for Fuzion are pretty limited now unless you use the Internet Archive, but the core rulebook can still be found easily enough, thankfully. And, for those die-hand anime fans: the Record of Lodoss War hack is still available. It is probably one of the best written anime-inspired fan projects using Fuzion, and I still use it as a reference to this day. Who doesn’t love Fallout? Seriously, there’s something about surviving the post apocalyptic wasteland and getting a suit of power armor that just makes life worth living. Amusing fact: Fallout was originally going to be built using the GURPS system, but licensing issues cropped up and the programmers had to develop a new system to handle task resolution. The end result is the SPECIAL system we all know and love today. Knowing that, some fans sat down, looked at the code, and crunched the numbers to convert it back to a tabletop RPG. While it plays like a psuedo wargame (similar to Fallout Tactics), it still keeps the themes intact. Fallout PnP was originally hosted online as a pdf (“Fallout PnP 2.0″_, but now the original links are gone and alternatives are hard to find. Some fans are still keeping it going on a wiki page (using Jason Michal’s 3.0 rules), which is nice but it doesn’t have the convenience of a single document to download. Still, if you want something you can tweak and cludge into a Fallout game, you should find everything you need here. One thing that always drives gamers: finding ways to turn your favorite franchise into a roleplaying game. There’s just something about knowing that you can legitimately play your favorite heroes from movies, video games, comic books, and novels. Honestly, if you type your fandom and add “RPG” to it, you will probably find a fan-created hack for an already existing game or their own homebrew (I’m still working on a Tokusatsu-inspired mechanic, so I’m not much better). Granted, some franchises actually have official RPGs (Doctor Who and Supernatural already have official games, for example), but with fans being fans, there’s always a fan-created version somewhere with a mechanic they feel is “more fitting to the series.” Some official games are also out of print (DC and Marvel comics each had three different game mechanics), so you may not be able to get to that franchise without a hack or paying an arm and a leg for it. One thing to always look out for are those various homebrew rules. Some of these are built from the ground up to serve a mechanical purpose, while others are built to bridge gaps or just to have a fun game. I’ve always been a fan of John Harper’s work over at One Seven Design. Most of the posts he’s made are short adventures with newly created mechanics, and some of them have ties to later games (such as Lady Blackbird inspiring Always/Never/Now, another free RPG). Even if you don’t like some of the mechanics, you will find some nice artwork and stories within the mini rulebooks (if you can call them that), and they are a great way to get a short convention game together or a last-minute RPG with some friends. Another one of my go-to games is Warrior, Rogue, and Mage. Michael Wolf has a number of free RPGs on his page, but I think WRM is probably the best, most fleshed out game. Sure, it’s generic fantasy, but it’s really light and easy to get into, and can handle just about anything Dungeons and Dragons can do in about a third of the space. It has always met with success with new gamers, and is well worth the download. If you want something that’s not medieval fantasy, you’ll find similar games with different flavors there as well. Now, if you’re a fan of classic D&D but think d20 had some good ideas, you should look at Basic Fantasy. Basic Fantasy appears to be a frankenmonster of classic D&D’s progression and saving throw mechanics with d20s stat and combat systems (but not as broken due to limited actions, it seems). I haven’t had a chance to look into it yet, but there’s some good stuff there if you want to get into D&D but don’t have the sort of money sitting around to really sink your teeth into it. The last homebrew I’ll bother you with in this list is Risus. Risus is a small, flexible, easygoing system in a world that has too many serious games. I haven’t had the chance to look into it myself, but it was referred to me at a convention by a player that overheard some of our last-second game prep stories. If there’s one thing that’s a constant in the tabletop RPG community, it’s this: as long as Final Fantasy games are being made, there will always be a Final Fantasy tabletop RPG. Sure, other video games franchises have been converted to tabletop games (StarCraft actually has an official RPG that we really don’t talk about), but there’s just something about Final Fantasy that brings fans to keep coming back to it. My first experience with a Final Fantasy RPG was with Returners. It uses a class/level system similar to the classic games, and uses percentiles for just about everything. For those fans who are huge into the d20 system, someone’s already got you covered. There’s a decent d6 version of Final Fantasy using d6s. It has a handful of flaws, but it’s not a tough game to learn. The last version I have saved in my collection is ZODIAC, which I haven’t looked at in a few years so I can’t say anything about it. Still, it’s another Final Fantasy game system for you die-hards out there. Eclipse Phase always caught my eye whenever I saw it in a store. Sci-Fi and Horror elements mixed together always seem to ping my radar, but I never could find it when I had the spare cash (and was ready for an impulse buy), and when I did find it, the price tag was just more than I was willing to spend on an impulse buy. Apparently, the creators of Eclipse Phase provide complete, full-color PDFs of the game online FOR FREE. The game line was released under a Creative Commons license, so it is completely legal for them to provide it to us to download. I want to go out and buy a copy just to support them for being awesome, honestly. While DriveThruRPG is a store, they have a surprisingly large number of free RPGs. Many of the freebies are samples, but if you sign up for their newsletter, you’ll get notifications of various freebies that are released each week, which includes full versions of some games. Some of these rulebooks are complete from major publishers; in the past, I was able to get complete World of Darkness rulebooks for free from them, among others. Honestly, you can try to hunt down homebrew rules for things at this point, especially if you are looking for a specific game setting. I cannot count the number of times I’ve seen Star Wars, Final Fantasy, Mass Effect, Dishonored, Bioshock, StarCraft, or even My Little Pony hacks for various games, not including ground up homebrew rules (like the Transformers homebrew I listed above). You can also check this list of System Reference Documents (it is a bit dated and some links may be dead), and do a few searches for anything under the Open Gaming License or Creative Commons Licensing. These options are, to put it simply, ways of publishing materials to be free and open to the public. Go forth and take a look! For now, you have quite a bit to go on. If you like the games, donate money to the creators to show your support, as they are just normal people like you and I trying to eke out an existence while doing what they love. And thank you for dropping by to reply to this! I understand the problem with too many irons in the fire (both literally, as I’m a blacksmith, and figuratively as someone who is busy with multiple tasks), but I do look forward to seeing what you come up with next. Feel free to let me know when you finish another project and I’ll gladly see if I can direct more people to it and your writing. Keep up the good work!